Owing the lift check valve application area, we are here with the second to none quality collection of the forged steel lift check valve that is excellent in terms of the ductility, fatigue resistance and impact resistance that ultimately increases the life expectancy of the forged steel life check valve. This forged steel lift check valve excellently upholds higher pressure and thereby ensures impeccable operations all through. By means of this forged steel lift check valve preventing leakage has become and for this property is highly demanded in the extensive industries. 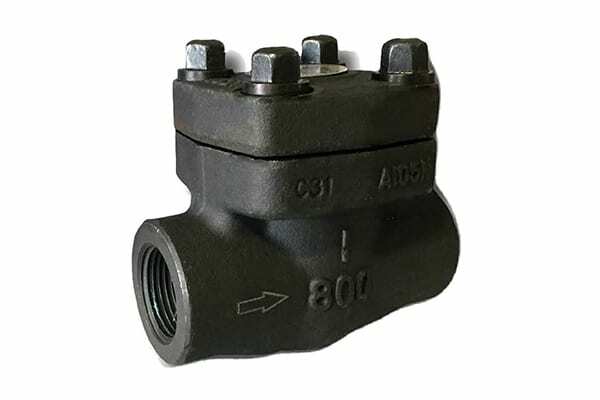 All our forged steel lift check valve is quality tested and assured of the highest quality standards, and hence is accepted worldwide for flow control. Different sizes and material is available upon customer request.